over the shoulders and a 2cm wider gullet than “normal”. These features provide maximum freedom of movement for the horse’s shoulders whilst retaining ample panel support surfaces along the spine. For the rider it has big front blocks, a deep seat and a design which maximises contact. The Prestige D1 combines unique, innovative technology with superb Italian craftsmanship. The D1 saddle is now also available now in a D1 D Zero version. 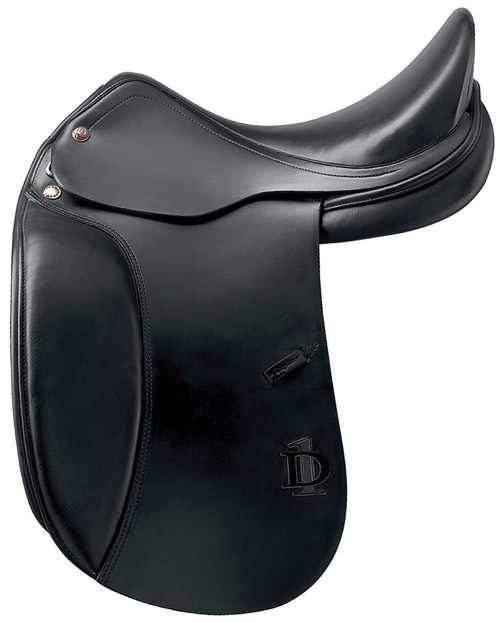 The word “Zero” identifies the closer contact that the saddle offers to the rider. The tree is narrower on the center and also the flaps are manufactured by a new method in order to allow the rider tighter grip in the legs. Both models are also available in a “Lux” version which are manufactured using thicker 3.3mm special soft leather.